ISLAMABAD: An accountability court on Wednesday adjourned the hearing against former finance minister Ishaq Dar till October 3 in a reference pertaining to illegal assets. 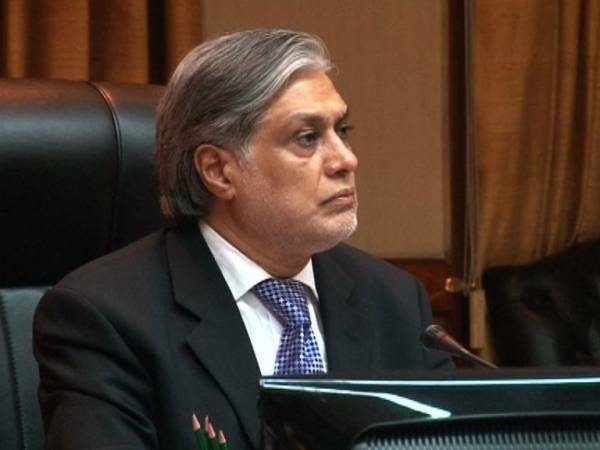 Accountability Judge Muhammad Bashir conducted the hearing on corruption references filed against Dar by the National Accountability Bureau (NAB). The three co-accused in the case — former National Bank of Pakistan president Saeed Ahmed, Mansoor Raza Rizvi and Naeem Mehmood — appeared before the court. During the court’s proceedings, Saeed Ahmed’s counsel, Advocate Hashmat Habib continued cross-examination of the prosecution’s witness Mohsin Amjad, and asked for details regarding the bank accounts submitted by the witness. The witness said the first account was opened on December 28, 1994 and was closed on March 16, 2006. The last transaction in that account was done on August 28, 1995, he added. Amjad said no investigation was initiated from the bank staff regarding those accounts. He had informed his seniors about the difference of signatures on passport and the bank account form but no action was taken accordingly, he stated. The defence lawyer said if the signature of five accounts were not common, then it could be assumed that those were fake accounts. The witness replied that he never stated that those accounts were fake. NAB’s Deputy Prosecutor Imran Shafiq objected over the defence’s query and argued that these questions were irrelevant. Later, the court adjourned the hearing of the case till October 3.